From the point of view of many. they are considered the most talented men in the world. They are one of a kind. What unites them? Cool makeup! Male make-up was not invented yesterday. In this digital age, makeup has become a trend. Hardly anyone thought it would come to this. So, it is declared: makeup does not deprive guys of their manliness. In the face of criticism – it speaks to their courage and originality. The star of the sequel ” Fantastic Beasts ” Ezra Miller appeared at the premiere of the film in an amazing way. It is worthy to open on top. And by the way, the image of the actor is so unrealistically cool that for fans, Ezra is a ready-made hero of our Beauty Hero column in the magazine. It is not known in what form the world saw Mr. Manson more often: with or without make-up. But one can say with confidence that he was not shy about expressing himself and often felt like an artist, even outside the stage. He is Jack Sparrow. He is Willy Wonka. He is the Hatter. In short, he is many more. The main thing – everywhere with a cool make-up. But we are not talking about stage make-up. We are talking about his make-up at some outlets. Black pencil on the water line of the eye, by the way, emphasizes depth. Brutal vocalist of the group HIM Ville Valo is distinguished by his expressive eyes. Which he, like Depp, tints with a pencil. 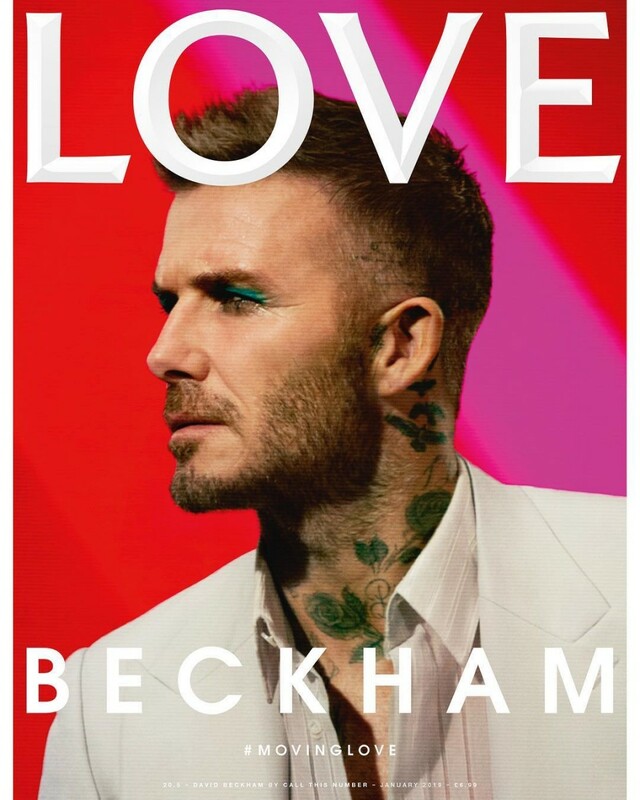 A famous footballer surprised fans with his appearance on the cover of Love magazine. David in a white jacket with green arrows looks so organic. that it seems that he always went with such a look. And we also love the Beckham family with the green arrows.